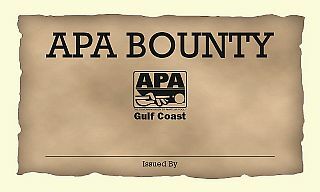 What is “The APA Bounty”? 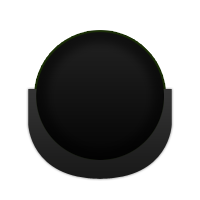 From time to time there will be players with a “bounty” on their head......well, their pool match. Their name will be highlighted on their scoresheet and their opponent’s scoresheet. In addition, there will be a bounty coupon for a free week of league play ($7.00 value) attached to the team’s scoresheet of the identified “bounty” player. When the “bounty” player plays their match that night, if they win, they can use the free play coupon; if they lose, the free play coupon goes to their opponent to use.